Black pugs are slightly less common than fawns. The black is a recessive gene. A lot of people have black pugs, and I'm just curious as to how many on here do. 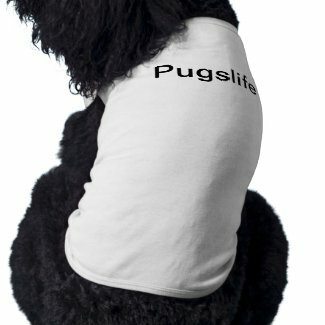 :) You odn't have to have a black pug to join. But please post something id you do. You need to be a member of Black Pugs Unite! to add comments! all pugs are perfect! Have you ever seen a cuter animal? lol. Your baby is absoulutely adorable! yeah...i think the shedding might also be genetic...like if the parents don't shed very much, the puppies won't. I don't know, the breeder we got my pup from tolkd us a lot of stuff that wasn't true. It seemed like she didn't care about the puppies. Just the money. I hate people like that. how can you NOT spoil these things? I love my black pug, he has my heart.